Koya University Journal of Humanities and Social Sciences (KUJHSS) is inviting all researchers and academics who willing to join its family as reviewers. 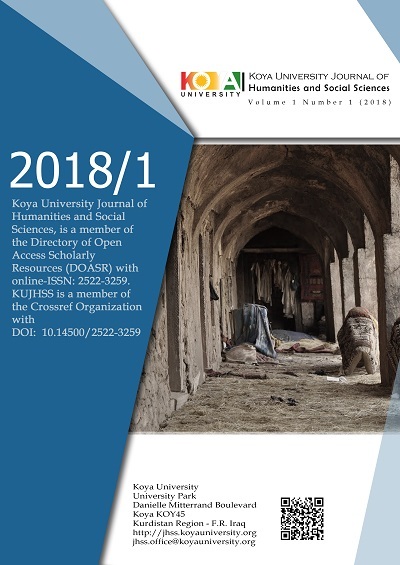 Koya University Journal of Humanities and Social Sciences (KUJHSS) is a member of the Crossref Organization with DOI: 10.14500/2522-3259. Koya University Journal of Humanities and Social Sciences (KUJHSS); no article processing charge (APC). © 2017, Koya University, Koya, Kurdistan Region, Iraq.